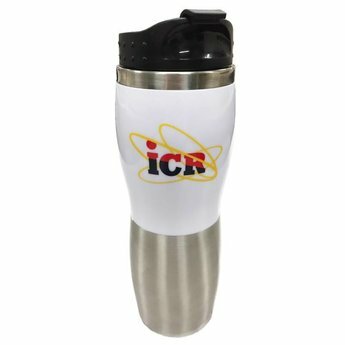 Enjoy a hot or cold beverage while showing your support of ICR with this ICR Tumbler! Enjoy your beverage while showing your support of ICR with this ICR Tumbler! This 14 oz., double wall, stainless steel tumbler with foam insulation, acrylic accent, and push-on swivel lid features the ICR logo over a white background. Show your support for ICR while you enjoy your favorite beverage! A white gift box is included. Total Shipping Weight: 11.2 oz. Great product! Love how it narrows in center for easy grasping and the interior stainless steel (minus plastic lid). In addition, when you flip dispenser flap open, has a locking feature to keep the flap open. Use this for my coffee on my 40 min drive to work. Still warm after a couple of hours. 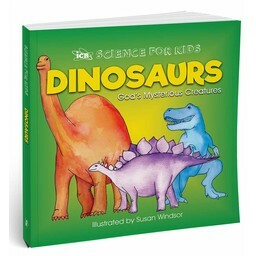 Highly recommend and planning on purchasing as a gift(s) in future.